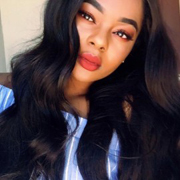 Human hair extensions are worn by women and are in high demand.Virgin malaysian hair is lustrous and thick, making it more flexible and durable than other hair. However,High quality 100% unprocessed human hair is expensive, because the texture blends well with their own hair and it lasts longer with proper care. Virgin malaysian hair bundles are 100% real human hair that has never been altered by a chemical process. Virgin Remy hair is the highest quality human hair available on the market. This hair is expensive, yet it does last for a longer time,making it worth the investment. Virgin hair means that when the hair is collected, it is collected from virgin hair donors. This means that the hair has never been chemically processed , never chemically treated, and comes from hair donors with long healthy hair. How to look for affordable premium quality human hair, UNice Mall can help you save more money. Malaysian virgin hair is heavier, thicker,softer,more silky and lustrous in texture,the hair is good quality malaysian hair,no smell and no shedding tangle free, can be dyed and bleached. This hair type is in demand to help add length and to provide more flexible styling.With so many benefits and styles to explore, you may be wondering how you can fit these extensions into your budget. Most women need several bundles of hair to cover the whole head, especially if you want very long hair. UNice MAll will help you save money and time by offering malaysian virgin hair bundle deals. Besides offering considerable savings, these bundles make it easy to buy all of the hair you'll need in the right lengths. 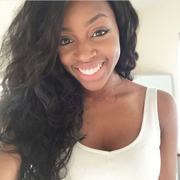 Which should virgin hair bundles you choose? 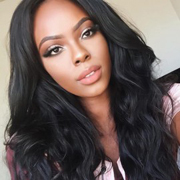 There are several types of malaysian virgin hair, including straight, wavy, and curly.Virgin body wave,loose wave and natural wave provide some of the most natural-looking hair, as well as offer a wide range of styling options. Straight and curly hair allow you to easily add length to your natural hair. Malaysian curly hair extensions can add volume to women’s thinning hair. When you get your virgin malaysian hair extension bundles, there are several things you can do to extend its life and reduce your costs for maintenance. How to care for your malaysian human real virgin hair weave,we recommended that you read the following articles. The first thing you should know about virgin remy hair is that it is totally affordable unprocessed 100% natural human hair. The hair you purchase will have a natural texture and color. You have to care for your extensions just like your own natural hair. You need to shampoo and condition your hair regularly, especially if you use a lot of hair products. If you maintain your Virgin hair extension properly, you will have sleek, smooth, tangle free beautiful natural looking hair for a very long time and will be able the reuse the hair many times after. If you follow these tips consistently, you can save money and time.